Displayed above is a photograph of the bedroom window of one of my friends in Mumbai. She cut out pages from her daughter's old coloring books and made a collage out of them on her bedroom window that needed to be covered up for privacy reasons. Normally, people use newspaper or brown paper for this purpose, which not only looks dull, but also makes for a sore spot in the visual decor of the room. So I really liked my friend's idea. The window looks bright & colorful instead of dull. And her daughter's best art work is also displayed proudly. This is my eighth post for NaBloPoMo March 2012. Link to the previous post: "Photo A Day: Something You Wore"
Btw why have you dropped off FB? PS: Avery Taylor - the author of the hauntingly touching story, "Remember the Roses", left a couple of messages on my blog yesterday. Frankly, I was and still am overwhelmed! Nice! 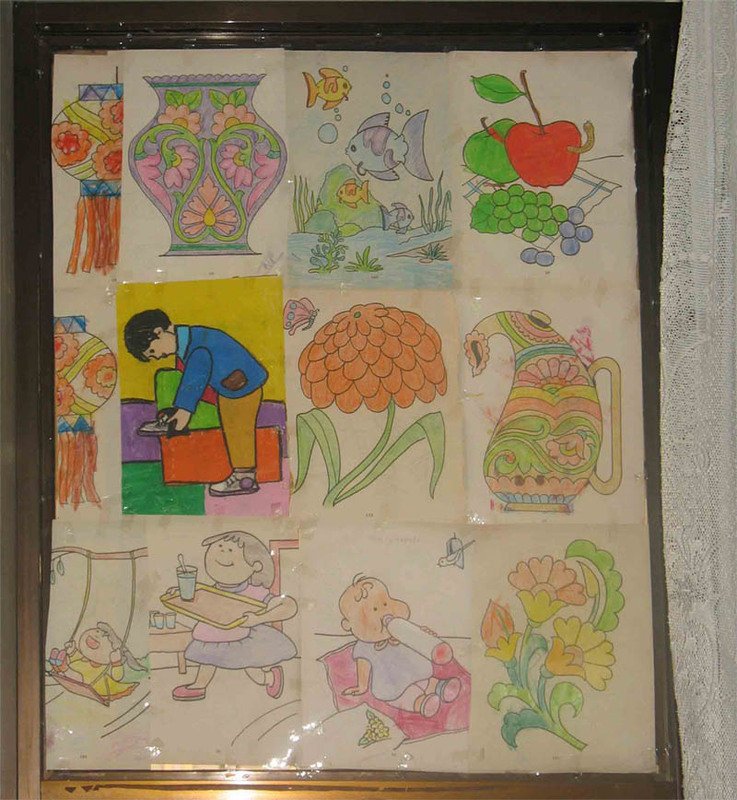 My sis has done some window art as well back in India...if I were there I'd probably have put that as a picture. Roshmi, I'm up to my neck in some stuff here. FB was proving to be very distracting, so I deactivated my account temporarily. Will come back when I'm relatively free. And I never could have imagined that the author would still be around, after soooooo many years, and she'd even come out with more books! Amazing! Oh, now I know why you disappeared from FB. I too would look for a copy of that book :) though I have a pdf version of the story. P.S. Do watch ‘Kahaani’ if you can. FB has lost most of its charm since I left FarmVille! Sighhhhh! Will have to come back soon I guess.